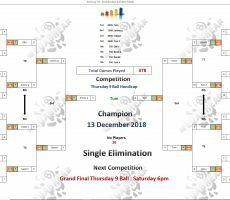 THURSDAY 9 BALL – 13th DECEMBER : TUM WINS. 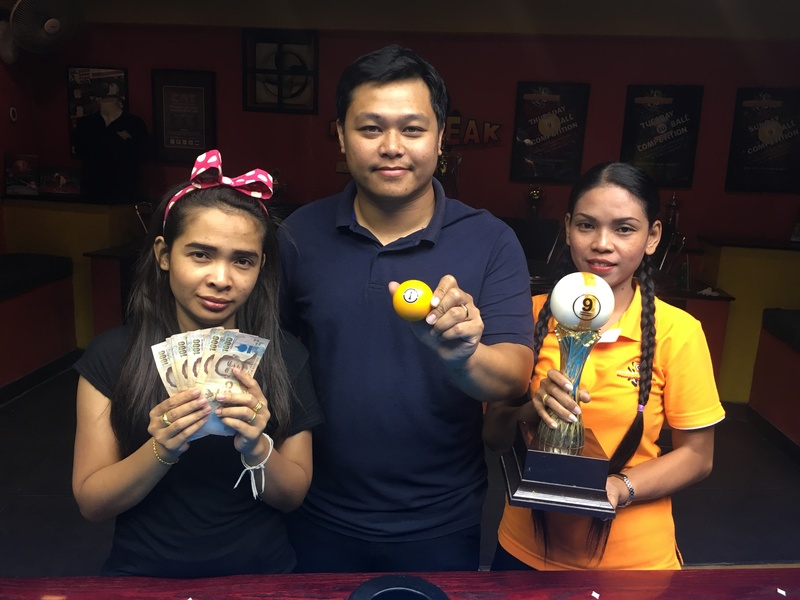 We had yet another player making a winning return to action at Megabreak on Thursday night, with Thai player Tum Supasut Panitchop claiming victory. 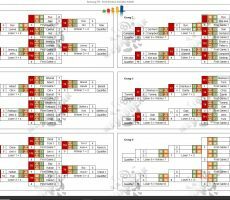 Playing in his first competition here for seven months, and after recently becoming a father for the first time, he played well all night long to pocket the 1st Prize of 6000 baht. 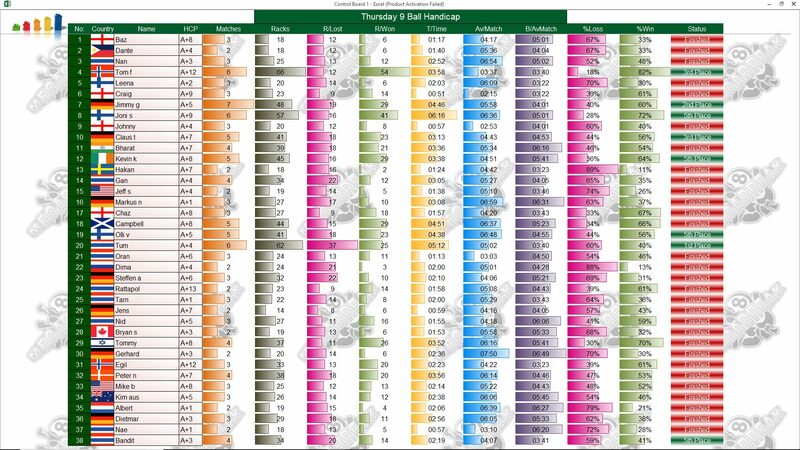 In the final he beat Jimmy Schmitt from Germany by 4 racks to 3 (race 4-5) to seal the win and lift the trophy. 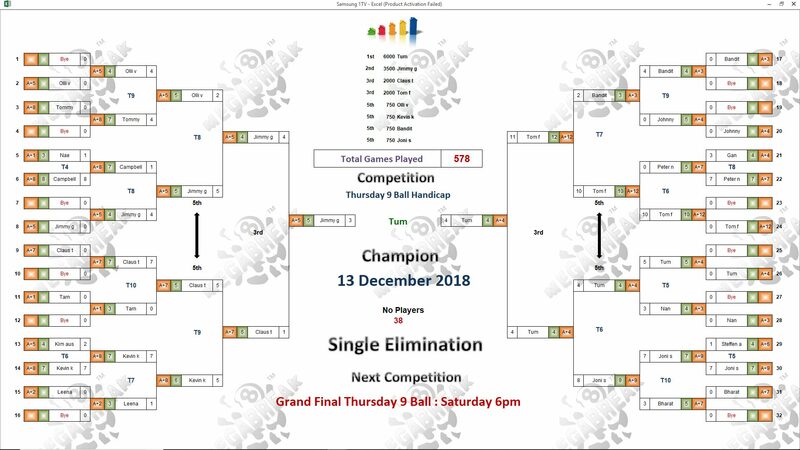 Jimmy lost his very first match of the night in the groups, before winning his next five to reach the final, and took home 3500 baht in 2nd Place. 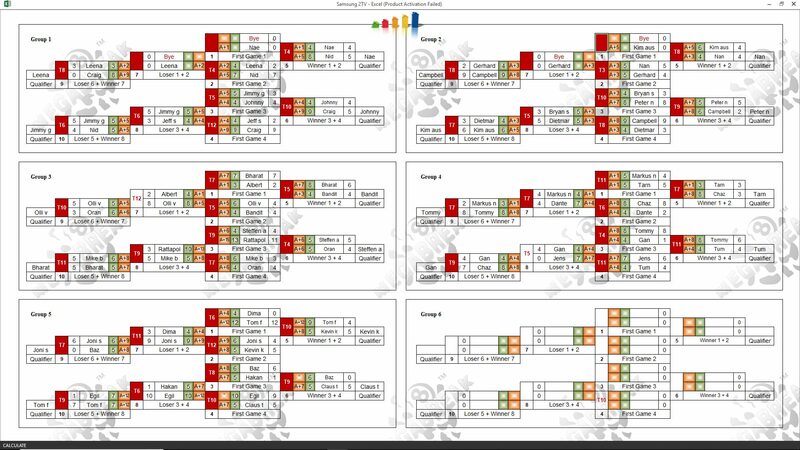 Tom Fossum and Claus Thoden both put in impressive performances again to reach the semi-finals, collecting 2000 baht each. 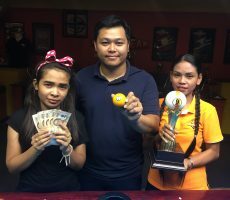 Champion : Tum (A+4) – 6000 baht. 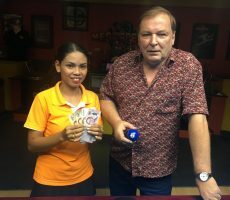 Runner-Up : Jimmy (A+5) – 3500 baht. 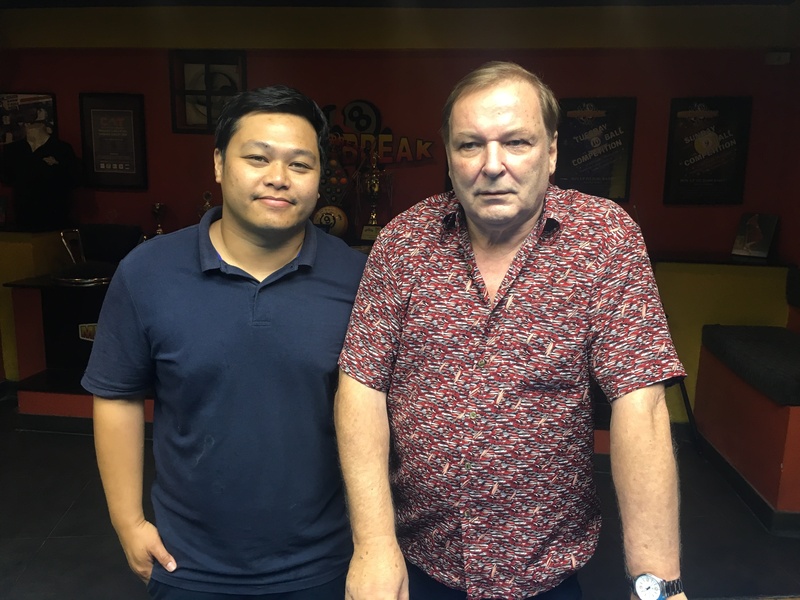 Semi-finals : Tom (A+12) and Claus (A+7) – 2000 baht each. 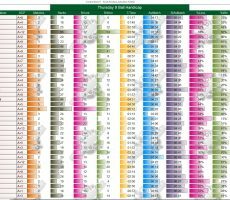 Quarter-finals : Joni Savolainen (A+9), Kevin Kelly (A+8), Olli Virtanen (A+5) and Bandit Sribura (A+3) – 750 baht each. The Player Auction Prize Pot totalled 32300 baht, and was won by Olly Downey. 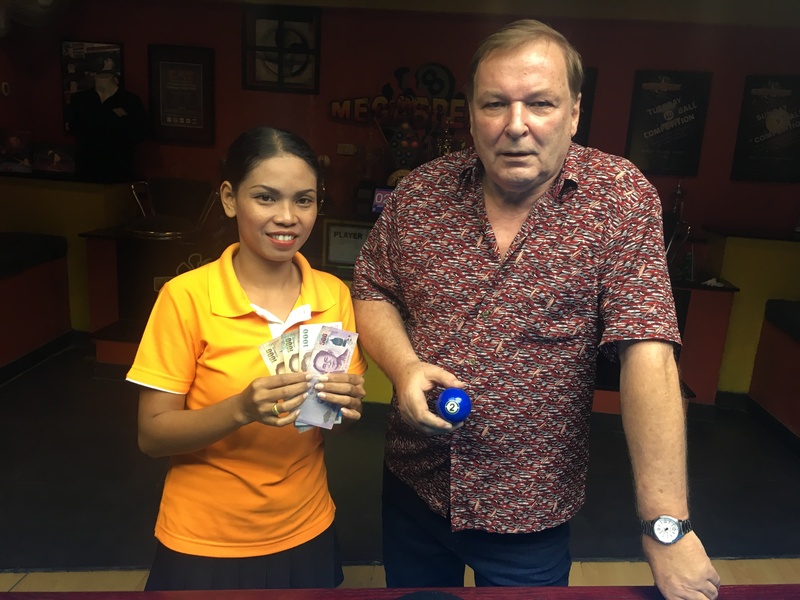 He bought Tum for just 800 baht, and they shared the 1st Payout of 9000. 1st : Olly (Tum) – 9000 baht. 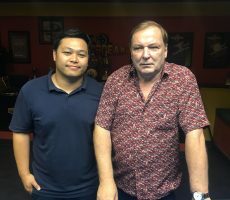 2nd : Håkan Ekberg (Jimmy) – 6500 baht. Equal 3rd : Olly (Tom) and Mike B (Claus) – 3600 baht each. Equal 5th : Olly (Joni), Leena Mäkinen (Kevin), Olli V (Himself), and Hakan (Bandit) – 2000 baht each.